Hostels. Walls covered in scribbles. Lounges teeming with rough backpackers. Fridges filled with beer. Rooms overflowing with used clothes. Toilets messy and dirty. 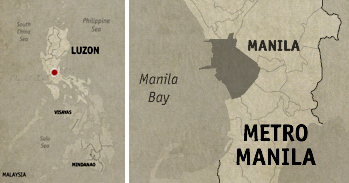 Last week, we booked a stay at a new one that opened right in the heart of Manila, and it is nothing of the sort. 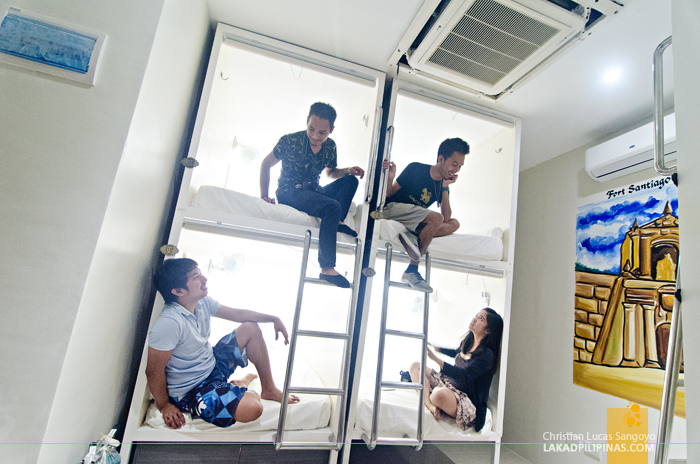 Tambayan Capsule Hostel & Bar. 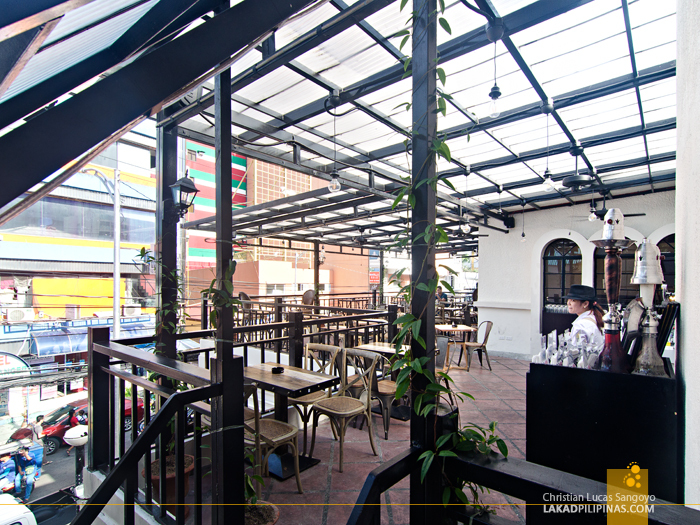 The name evokes a place where friends meet, tambayan being a colloquial term for a place to hang out. But you'd be surprised if you're expecting a ramshackle space converted into sleeping quarters. 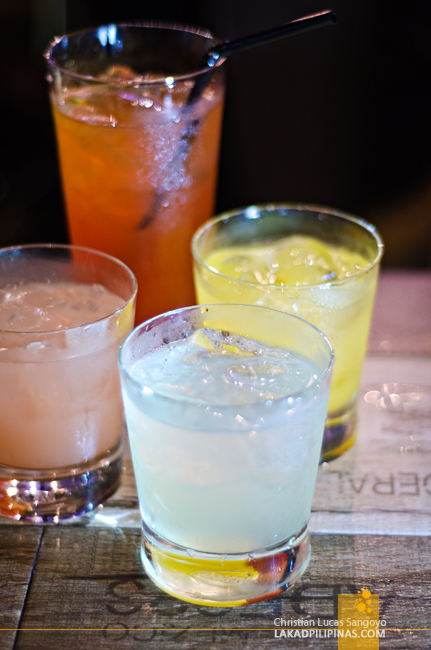 What you'd find here instead is swank. 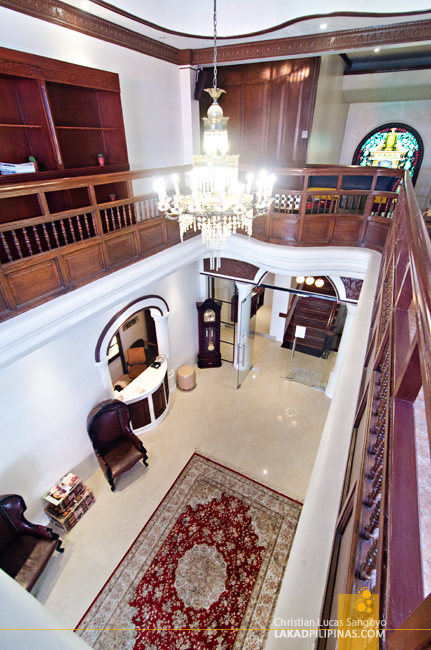 From the moment you lay your eyes upon its freshly painted colonial-styled facade to its sparkling chandeliered lobby, the cool retro-uniformed staff, up to the neat bed-capsule rows inside its rooms. You'd hardly believe that it's a hostel. But it is. 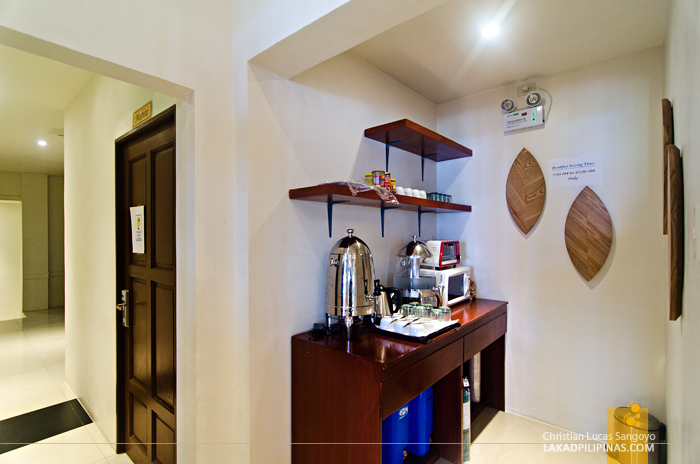 The rooms are mixed dorm types, the toilets are communal and the rates, good enough for the stingy backpacker. One bucket turning into several more. Almost Khao San RH nights along the streets of Malate. 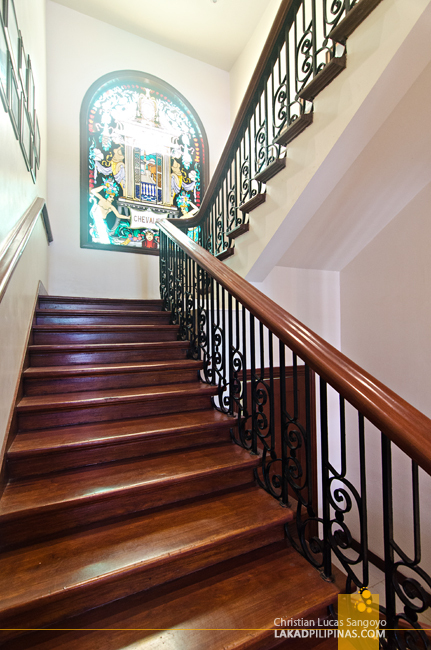 The hostel is located right across Robinson’s Place Ermita, it is at the center of Manila’s bustle and a few minutes walk to the Manila Bay. 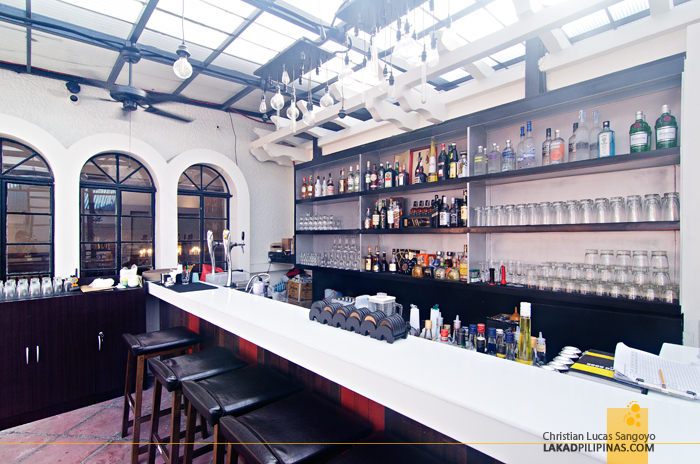 Bars, old churches, clubs and restaurants are within the vicinity that you’d never run out of things to do without straying far. 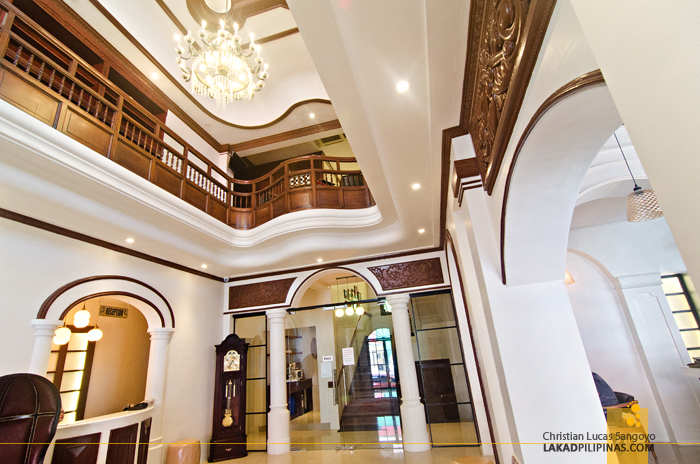 Housed in a restored 1960’s mansion, Tambayan offers five room types (all air-conditioned) with varying degrees of privacy for guests. They have a private room for the shy ones, an all-girls dorm, and the most fun room—the mixed dorm type for the adventurous travelers [CHECK RATES & AVAILABILITY]. Most of the rooms are quite spacious and with each capsule equipped with soft bed, private lamp, mini-fan, mirror, electrical and USB outlets and most importantly, privacy screen. Lockers are located on the hallways of the hostel. A few rooms have its own toilet and bath, but most dorms simply share a common one at each floor. They’re not mixed-type, so girls wouldn’t have to worry. 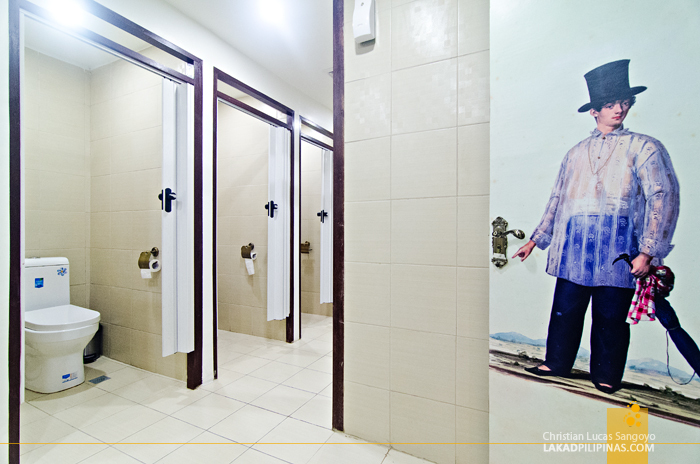 Toilets, which have bidets, by the way, are separated by cubicles from shower stalls, mitigating the problem of long queues. 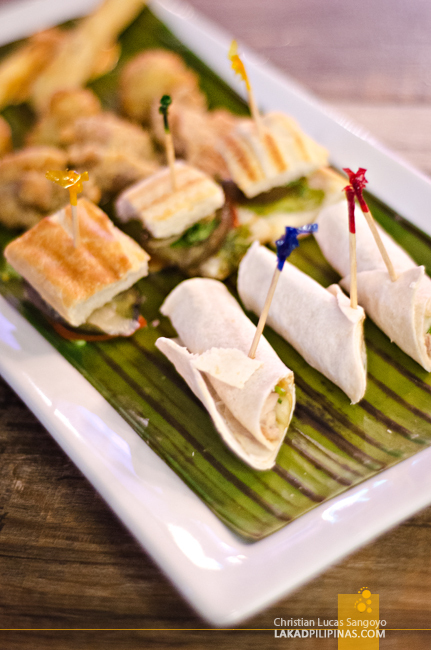 A stay comes with a complimentary light breakfast fare. When I say light, it means pandesal, jams, cheese spread, coffee and juice. If you feel like you didn’t get your fill, you may order at the 24-hour Tambayan Gastrobar which is located on the second floor veranda of the hostel. 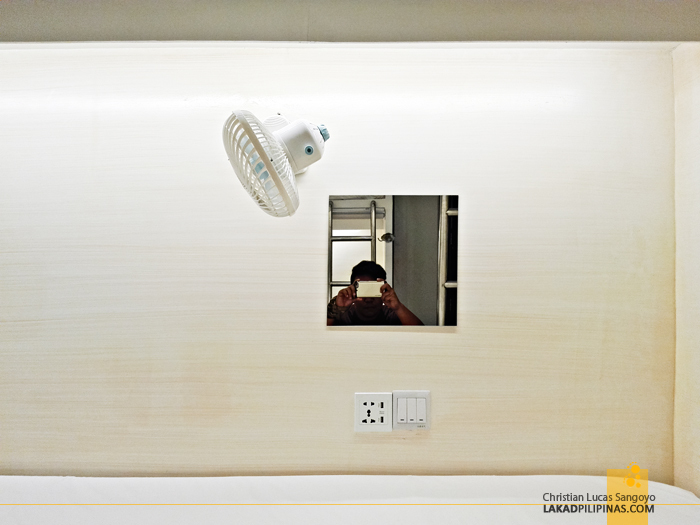 Tambayan is fairly new and there are definitely a few things that can be improved. Foremost is the lack of lounge area for backpackers. 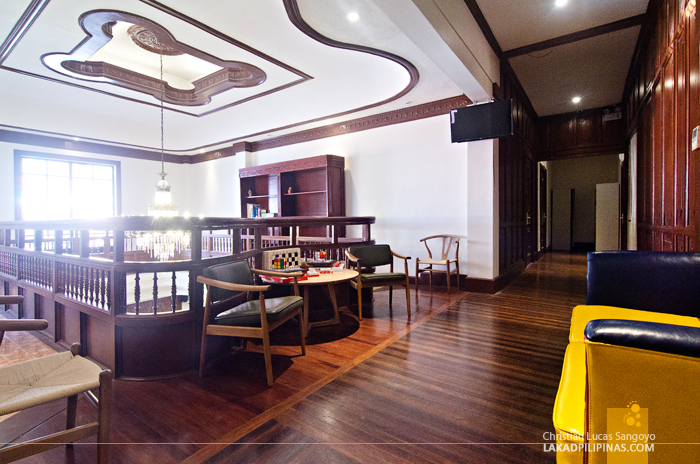 This is the nucleus of what makes a great hostel. Backpackers like to gather round and talk, talk and talk some more. 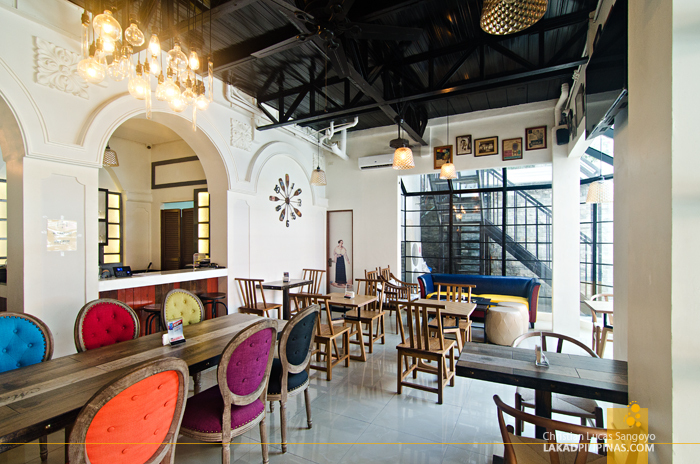 While the gastrobar at the second floor might do the job, it simply isn’t comfortable enough for long periods of backpacker travel tales. These guys usually round up on a spacious lounge with comfy couches and a fridge full of beer right beside it. A few more minor glitches that I also noticed which can easily be remedied; the toilet’s accordion door, which is kinda hard to lock, the access to the gastrobar from the second floor—which is locked (guests still have to go all the way down the ground floor, then up the side-stairs to the second floor again), the lockers being located on the hallways—which is a bit inconvenient, and lastly, the balcony door on our room doesn’t seem to have a lock. Tambayan seems to have issues with locks, lol. You ask, what do we do during staycations when not drinking beer? High stakes card games. 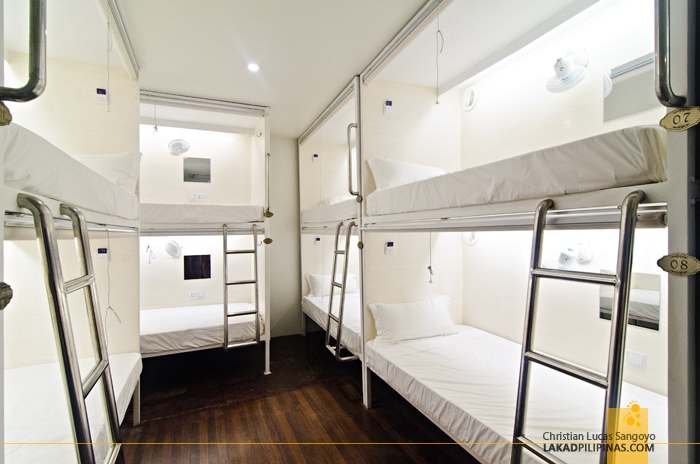 Other than that, Tambayan Capsule Hostel & Bar is a pretty good place for a backpacker to set up base camp while in Manila. Or if you’re not even a backpacker and just want to experience what it’s like to stay on a Japanese-inspired capsule bed, this is probably as close to it as you can get to it without going all the way to Tokyo.